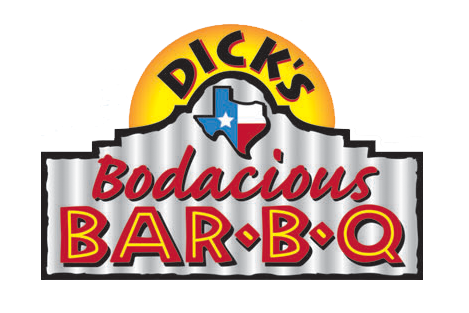 Great spot for lunch downtown or perfect for ordering to go on the weekends.Affordable BBQ and great service! They have lunch combos (sandwich, chips and pickle) for $7-10. They also have $2 Tuesday sandwiches. Absolutely best BBQ in Indy! Huge portions come hungry!! I went there with my dad for lunch. We both got the beef brisket and it was delicious. Food was good and the staff was very friendly, :-) recommend the spud bake potato! Great food and super fast and friendly service! Just happened upon this this restaurant while in Indy for work. Great food and the best Margaritas! Ordered a platter, so much food, was able to split the platter into 2 meals ... and a great price! We will be coming back!! What a surprise in downtown Indianapolis. The food was great and reasonably priced. Amazing place. Chill atmosphere, unbelievable food, very friendly staff and a nice variety of beer and liquor if you want a drink. Kim was our server and she was very friendly and helpful in deciding on what we were getting. Highly recommended. Ribs were amazingly tender with Tom of meat on the bone! Customer service team was super friendly and made you feel at home! Great place! Thanks guys! My waitress was very nice. She helped me with my BBQ food selection. Such a nice place the crew great you with a smile on their faces, very accommodating, nice place and with a very high quality food. Everything about my visit was awesome. The service was good and friendly. The food was at the top. Great food and always outstanding service!! Always good food. Love come here on my lunch brake with friends and family alway quick and grate food. Absolutely fantastic ribs and friendly employees. Great service! The lunch specials are reasonably priced and the food is very good. You add your own choice of BBQ sauce at the table, so you can have it your way...spicy, mild, or a mixture of both. Fantastic BBQ !!! Fast and friendly service and servers! Been coming here for almost 14 years now. Smoked Meatloaf is great doesn't fall apart either. Love the smoke flavor and it's smoked on site! As is the Carrot and Chocolate Cakes, Brownies and Cookies! Check out their website. Have been here twice and the food is great and service is great too. So much fun! I haven't laughed that hard in a long time and our server Hawaii was outstanding and fun! -Cozy, tasty, friendly! -Ordered 2 step pulled pork and smoked chicken -Dicks Feast ribs, amazing smoked sausage and brisket both with a side of Mac and sweet corn bread muffin! BBQ sauce mild and spicy at your table, lets you make a tasty mix! The brisket was divine. Couldn't finish it all but made great leftovers! As soon as I walked in I could tell anything I ordered would b delicious. Kind of like u could eat the menu. I tried brisket for the first time. This may have been the best chunk of meat I've ever had in my life. Way to be guys, keep up the good work. I was there last night (1-14-19) Food was SUPER, Service was great I NEVER complain on these guys!! I suggest trying it!! Their ribs are always FINE!! Love their 3 rib lunch special. Lots of meat for the price. Was in town to visit a friend and found this restaurant by chance. I was familiar with the name as I had eaten at the original location in Texas many times. This place is absolutely wonderful. Staff very friendly also. The barbecue was great and so was our waitress. I believe her name was Kim and she took great care of us. Food was absolutely delicious. Service was polite and on point. Stopped in for a bite. Delicious brisket. Green beans are delicious. Cole slaw is fresh and tasty. Nice change!